For ease of access, the new trial ALPHABETICAL Auxiliary Markings Record (Excel format download) (and also in Adobe PDF format download) shows the first 7 columns in alphabetical order by marking text. The FULL Auxiliary Markings Record (another web page) has 14 columns of information. The BRIEF Auxiliary Markings Record (below) and also in an Adobe PDF format download show only the Type code, the Auxiliary Marking Description assigned to the marking, and the Image (when available). 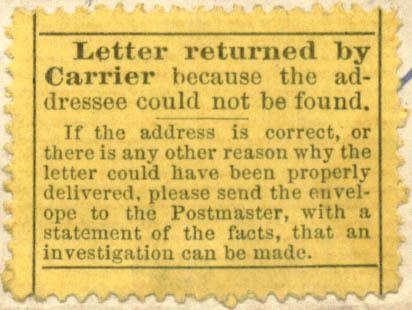 MISC Letter returned by/Carrier because the ad-/dressee could not be found./-/If the address is correct, or/there is any other reason why the/letter could have been properly/ delivered, please send the envel-/ope to the Postmaster, with a/statement of facts, that an/investigation can be made. 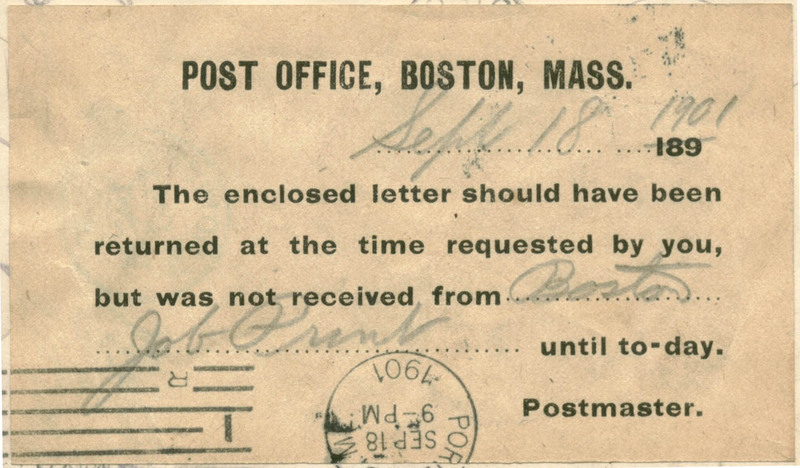 MISC NO FACILITIES FOR/DELIVERY OF/CONTRACT MAIL. MISC No Longer STS Suppor. MISC OPENED IN ERROR/TERRE HAUT, IND. MISC Received without contents/So. Shore Sta. & Received unsealed at/So. Shore Sta. MISC RELEASED BY P.O. INSPECTOR/ENGAGED ON CENSORSHIP. MISC SEVERAL OF SAME/NAME IN DIRECTORY/SEARCHER NO. 1,/STATION-L/N.Y.P.O. PRIVATE "OPENED IN ERROR/AT CITIBANK N.Y.S." 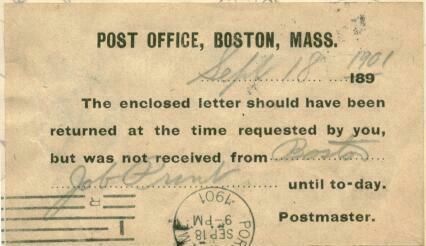 PRIVATE RETURN TO SENDER/_Person no longer works here./_Person unknown./_Company not at this address. PRIVATE THE WHITE HOUSE/WASHINGTON, D. C.
FOREIGN Mal Encaminado/El Salvador, C. A.